When Billy Miller has a mishap at the statue of the Jolly Green Giant at the end of summer vacation, he ends up with a big lump on his head. What a way to start second grade, with a lump on your head! 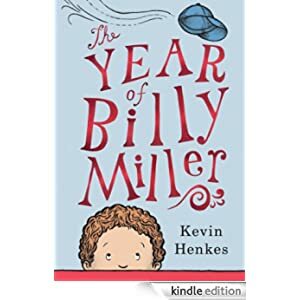 As the year goes by, though, Billy figures out how to navigate elementary school, how to appreciate his little sister, and how to be a more grown up and responsible member of the family and a help to his busy working mom and stay-at-home dad. This Newberry Award winning book is for readers in grades 1-3 and is selling for $1.99 today.